Using an aluminum block inline six for performance driving? Save thousands now and prepare your engine! Just look around our web store; we are the #1 source for race grade fasteners for BMW in bolt / stud sales and stocking capacity. More than that, we are the BMW engine experts racers all over the world trust! In 1998, we purchased a 1999 E46 and began to race with it almost immediately. We applied our previous decades of engine building experience to fix the inherent issue of hardware and block failure that plague the aluminum engines early on, with hundreds of hours of hard use on our engines. So what happens to these aluminum inline six engines? Under stress, the OE head bolts can stretch and fail, just like most BMW motors... but specific to the aluminum inline six blocks, once the hardware is replaced with upgraded hardware it can rip from the 'softer' aluminum block. This also happens with OE hardware, when these engines over heat (from a blow head gasket or otherwise). To avoid this cycle of failure, there is now a convenient kit that can be used be used: While these kits are typically used to fix engines that have overheated, we offer them to "prep and repair" your engine for high performance use so you are worry free and don't experience blown gaskets, catastrophic head warpage, or torn head-bolt holes in blocks. Q: Do I need this kit if I am doing Head Studs? A: Its our feeling that we strongly recommend this kit for all engines used for hard driving or track use. Its also our stance that the Aluminum Block Engines Use Raceware Head Stud Kits and be time-serted for proper use with boost levels over 6PSI for assured longevity. Q: ARP, Raceware, Stretch Hardware?... what's all this mean? A: First, all OE BMW Head stud hardware is stretch type, meaning that once used; it should be discarded as it is no longer capable of securing the head properly. 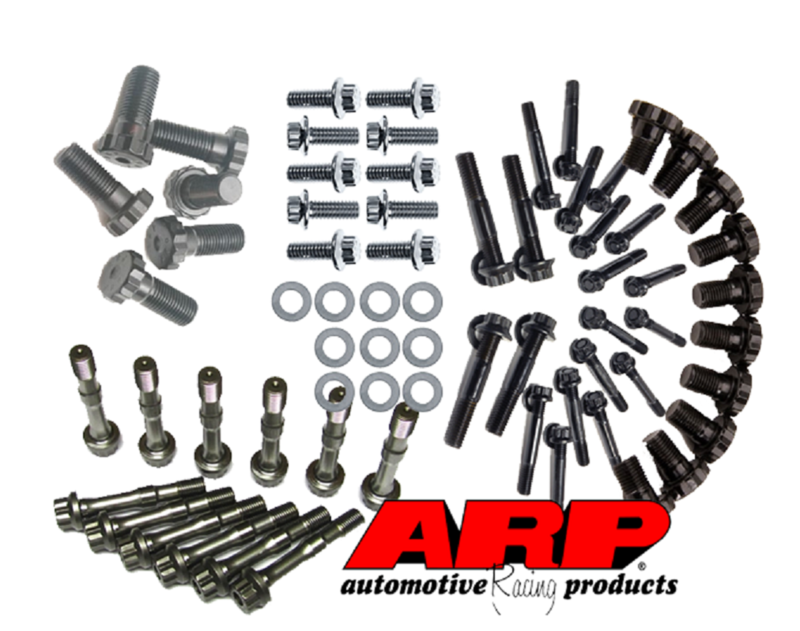 ARP does-not make aluminum block head stud kits, but Raceware does. They offers improved strength over the standard head stud material making them ideal for forced induction and racing use... However, this improved strength can cause the block to fail as these strong studs rip from the 'softer aluminum' (vs. a typical iron block). Time-serts give the studs a greater effective area to "grip" the block and less localized stresses on the small OE stud holes.